I hope you’ve been enjoying the start of summer. Memorial Day weekend here forecast rain, but so far, we’ve avoided it. We’ve spent much of the day lounging on the deck with cold drinks and, sometimes, if she isn’t scared by something, a dog. Now that we’ve found our way into hot weather, it’s time for summer’s simplest frozen treat, the popsicle. 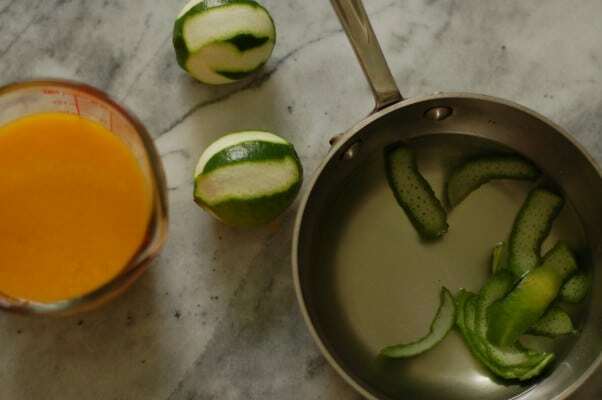 It’s my lazy go-to when I want something refreshing that doesn’t require an ice cream maker or tons of prep. in a shape I like even better. 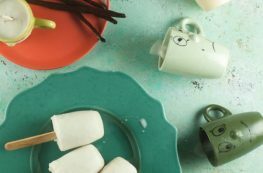 For my popsicles with edible flowers, I use these flat silicone molds, which also work for ice cream pops (but please add the popsicle sticks to these molds and set them on a sturdy pan or tray before adding liquid–you don’t want a leaky, wobbly mess). 1. Thai Iced Tea Popsicles. Creamy black tea ice pops with a hint of vanilla and spice. Almost like ice cream. 2. Mango Lime Popsicles. These sweet and tart popsicles taste like on of my favorite agua frescas. 3. Vanilla Bean Coconut Popsicles. Rich coconutty popsicles flecked with vanilla beans. Low in sugar and dairy free. 4. Lemon Elderflower Popsicles with Edible Flowers. Showstopping lemony floral popsicles dotted with real blossoms you can eat. They look fancy, but they’re incredibly simple to make. 5. 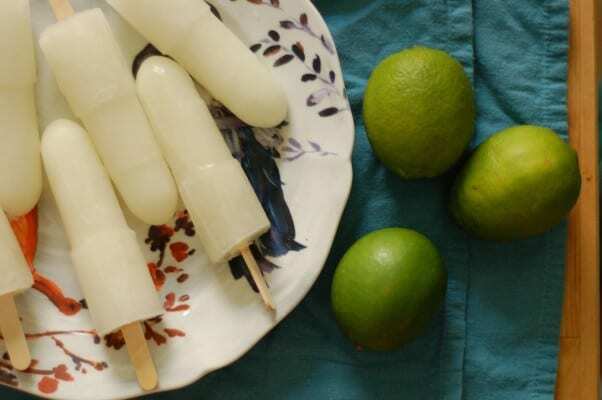 Lime Popsicles. These intensely limey popsicles are incredibly refreshing and perfect for the hottest summer days. 6. 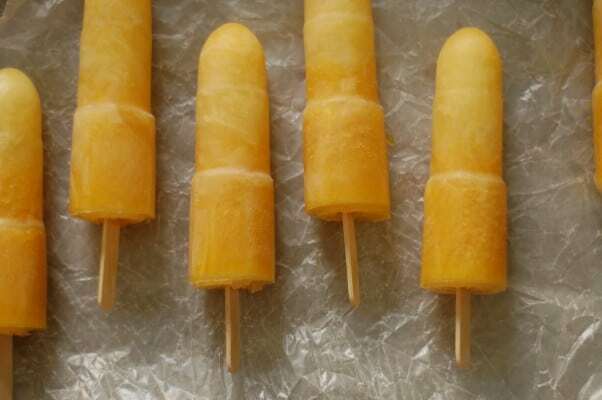 Passion Fruit-Pineapple Popsicles. 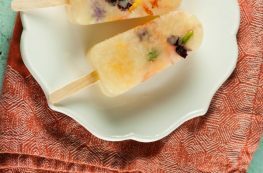 These bright, tropical sweet-tart pops are absolutely delightful. Just in time for summer! 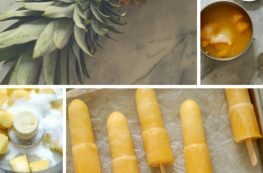 Homemade popsicles are totally on my must make list for this summer – what a great list to choose from! Thanks, Tracy! I love all of these! 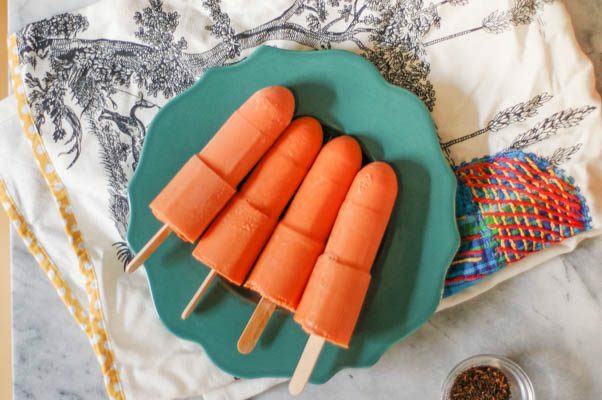 Thai Iced Tea Popsicles!!! OMG!! I love this list. I’m going to make my way through all 6! 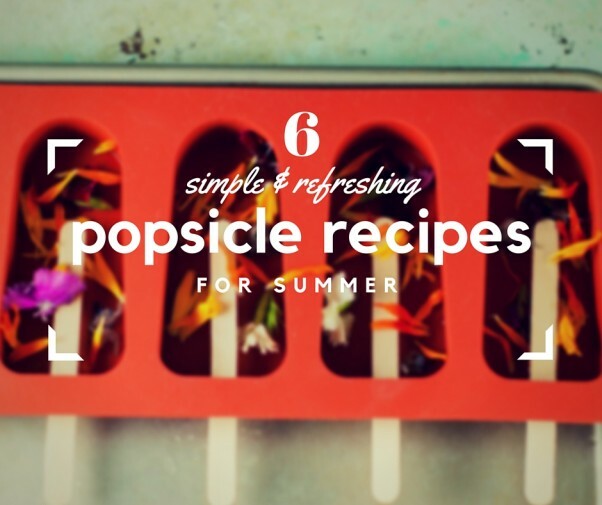 I become completely obsessed with popsicles over the summer, so I love this post! All of these popsicles look great, but those Thai Iced Tea ones are particularly dreamy! Oo, and the lime ones look good too. You should totally make the Thai iced tea ones! If you’re a Thai iced tea fan, I’m guessing you’ll love them. Wow, what fantastic popsicle ideas! I am going to have to run to the store and get some sticks! I JUST bought popsicle molds, and have been wondering what I should make first. Now I have 6 to choose from. going to pin this for later. YUM!